Option 1: Ride Greater Cleveland Regional Transit Authority. I had the great pleasure of chatting with Leah Backo recently. She’s full of energy and it’s hard not to get swept up in her excitement and enthusiasm when she talks about illustrating, The University of Michigan (where we both went for undergrad!) and her non-profit aspirations. If you’ve been following (and you should be if you’re not!) the string of monthly CreativeMornings Cleveland quoteposters, her name should be familiar because she designed and created the beautiful poster based on Kate Snow’s September lecture. The quote that was selected for the poster, “connections feed a meaningful existence,” seems particularly applicable to Leah. She has a great passion for helping others. This is profoundly evident in her in-depth look at being alone that she completed for her senior thesis at U of M’s School of Art and Design and in her steadfast desire to work in non-profit marketing and communications for organizations that focus on disenfranchised and ailing populations. Leah will pour herself into a project that compels her. She spent tens of hours on the quoteposter after she decided to wrap string around nails hammered into a corkboard in order to highlight the three dimensional theme of connections. This painstaking effort results in the poster message emerging from the negative space of the jumble of lines. The poster is striking on its own. But to understand Leah’s process and efforts adds a new dimension and appreciation of the piece. Hopefully we’ll see a lot more of her work in the future! Check out Leah’s website and instagram! And be sure to pick up the poster of her at the next CMCle lecture. CreativeMornings Cleveland is looking for the trouble makers, oddballs, and innovators that are moving, making, and inspiring new things. 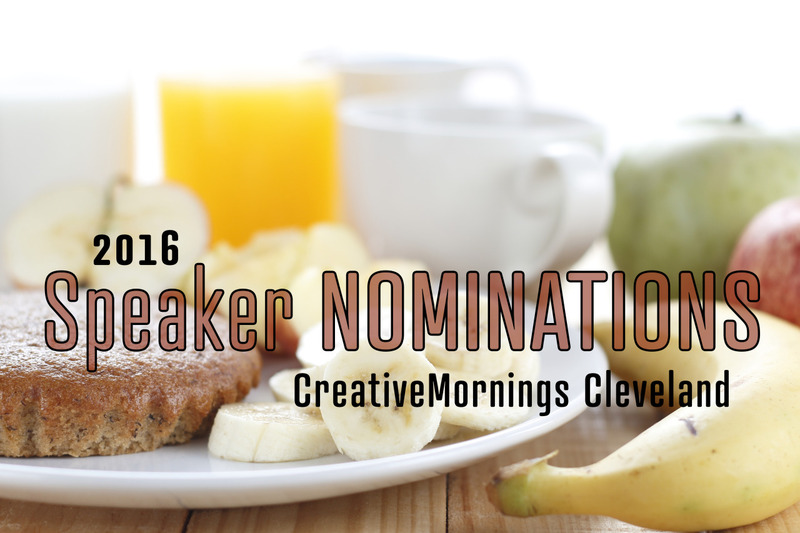 As we approach our chapter’s one year anniversary we’re beginning to plan for the 2016 season of CreativeMornings in Cleveland, seeking out Speakers, Venues, and event Partners to help make EPIC BREAKFAST. We need YOU to make this happen. Cleveland is one of 11 CreativeMornings chapters using the COLLABORATE theme as an opportunity to feature a pair of artists for our July events. Vancouver, Denver, Kansas City, Albuquerque, Baltimore, Chicago, Cologne, Edinburgh, Houston, and Malmo have caught the same bug. There are always a couple of talks that rise to the top each month from the collective 60+ hours of lectures from around the world. It’s fun to see each city continuously pushing forward their best, brightest, freshest, weirdest, most wonderful community members. 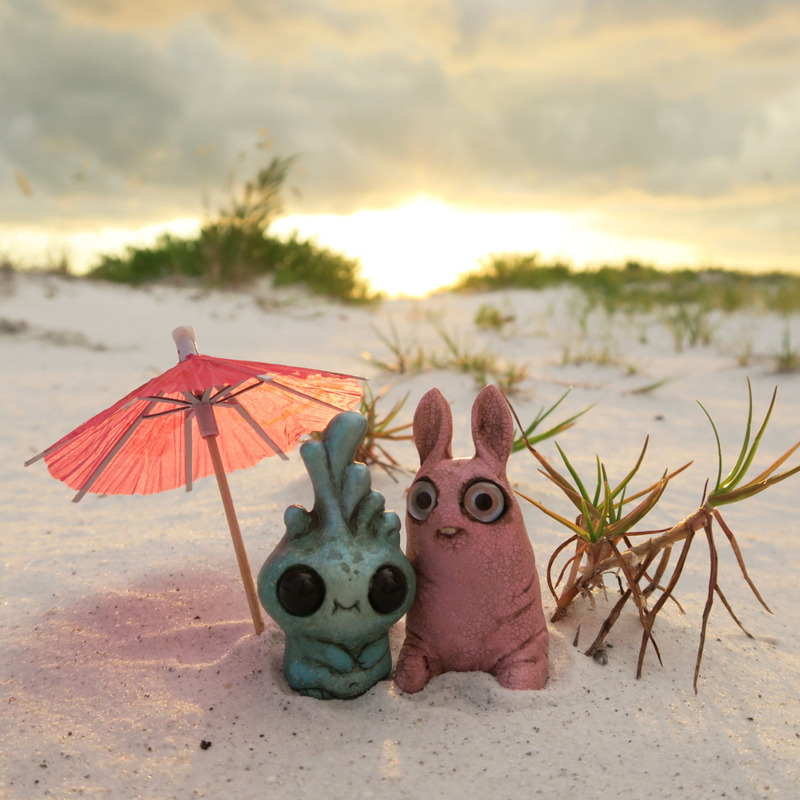 In Cleveland we’ve invited mini monster makers Chris Ryniak and Amanda Louise Spayd. A perfect mix of odd and lovable has made their imaginative creatures resonate with art lovers around the world. Chris works on new creatures daily, and makes the finished works available to his patreon subscribers. Amanda’s creatures are equal in wonderfully weird proportions to Chris’ and have just been featured in a short film called The Maker, that’s up on youtube with nearly 4M views. I watched it twice back to back. While both artist’s have their own collections of work they frequently collaborate to make, in their own words, “Better Monsters Through Teamwork”. We’re very excited to hear from them. There is limited registration available for the event this Friday morning, which will take place at Rosetta, the largest marketing & advertising consulting firm in Cleveland. Last month at Adcom, we heard Jeremy Umanksy talk about the climates of Cleveland, and got insight into his work as a wild foods forager and larder master. We asked members of the audience to record their reflections and favorite quotes from his talks on twitter and instagram with our hashtag #CMCLE. This time, the tag was not just for conversation, recording and sharing a bit of knowledge from our guest speakers talk would enter the phrase into a pool to possibly being picked by a designer to make a one of a kind poster. Lucy Williams, an illustrator at Adcom, contacted us to design the poster. We sent her the #CMCLE messages from last months talk and she designed a quote tagged by Lisa Sands. We went to our paper partner, Parse & Parcel, and were overwhelmed by massive amounts of choices, we had no choice but to choose several stocks to print on. The main stocks are a deep, rich, textured blue and purple - Curious Matter from Appleton Coatings, It’s made from potato starch. Our friends at Zygote Press did the honors of screen printing the piece, and the finished results are utterly beautiful. Thank you to Kate Snow for doing a wonderful job! Since her post was picked, Lisa Sands gets a copy of this print for free! If your tagged quote is picked, you’ll get a copy of next month’s print. Illustrators in the audience. Of course you’ll get a copy of the finished print for free as well, but we hope that this is a fun way to create something with the community. 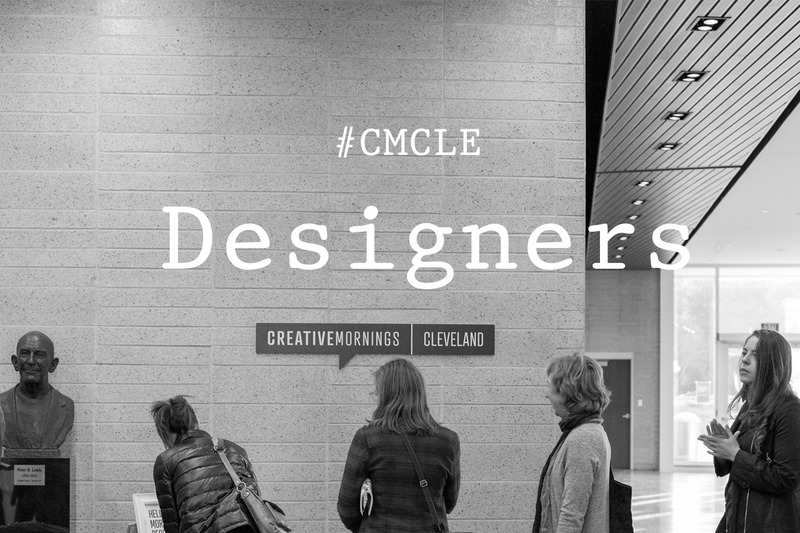 We hope to feature a different designers work each month, so please email cleveland@creativemornings.com if you are interested. When you think of Cleveland’s unique creative climate, one of the most obvious (if not the most obvious) discipline growing in our neighborhoods is the culinary arts. The community of chefs and cooks, both professional and amateur, are constantly exploring areas unknown; executing difficult endeavors to make inarguably amazing food. Although breakfast is a relatively small part of our monthly meet ups, with offerings of local pastries, food and the people who make it are a huge part of our creative culture. 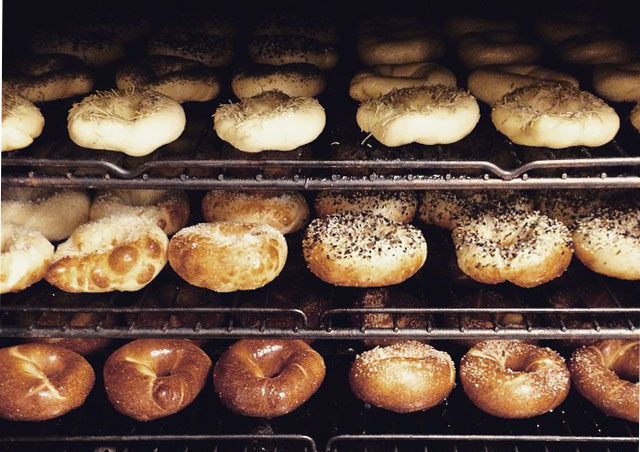 It’s impossible to resist celebrating breakfast as a special piece of Creative Mornings in Cleveland and we’re excited to announce a close partnership with Edible Cleveland to bring tasty breakfast treats to each event. 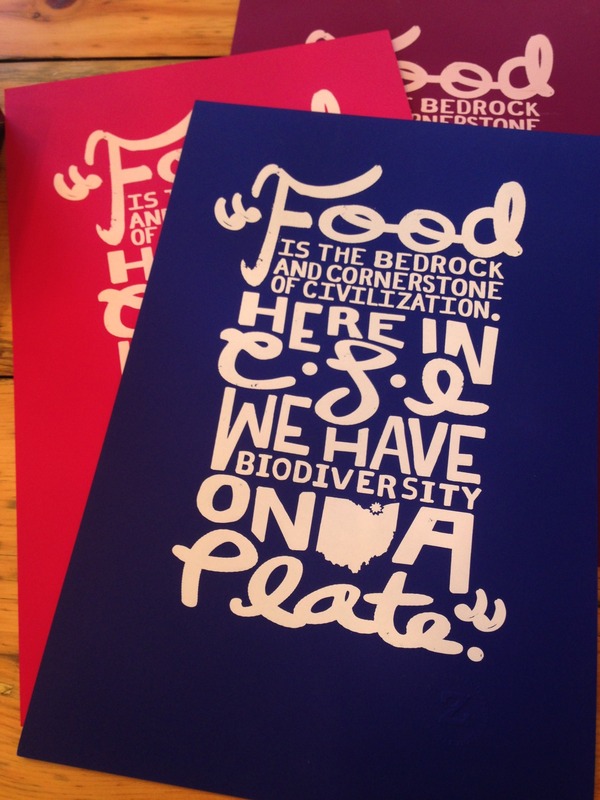 Edible Cleveland is leader in celebrating food producers across Northeast Ohio, publishing a quarterly magazine and online features. Working with local writers and artists, Edible captures the stories of people, places and food that make up our region’s particular culinary culture. 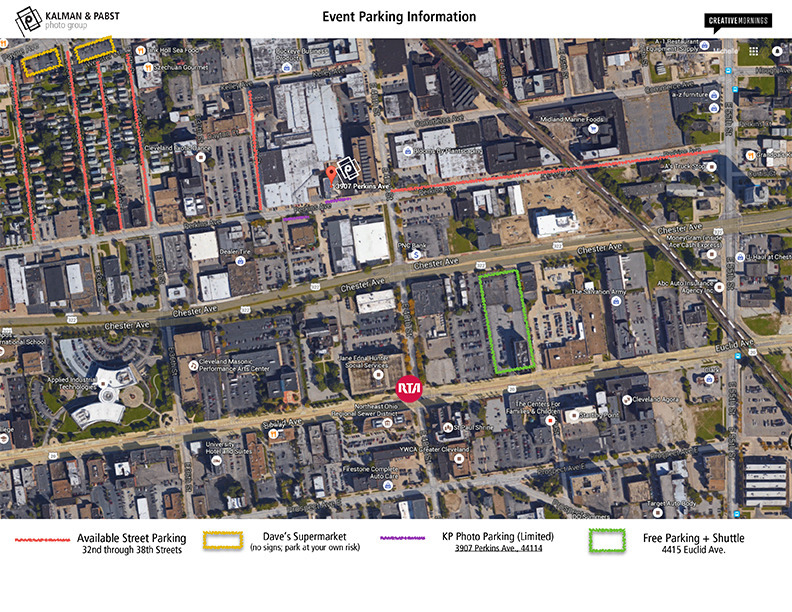 We hope that you’re able to join us at this month’s talk, next Friday, February 20th, at The Adcom Group in the Warehouse District. 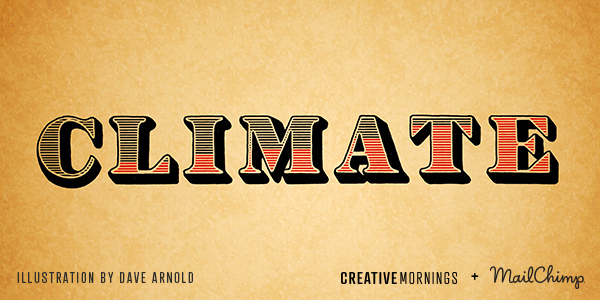 This month Creative Mornings explores CLIMATE! In Cleveland we’ve invited Jeremy Umanksy, Forager an Fermentor at Trentina Restaurant to talk about his work in creating self contained biospheres for food production and other ways that climate plays a role in sourcing food. The event is completely free and comes with coffee and breakfast but registration is required! Registration opens Monday, February 16th - subscribe to our newsletter from the event page to be notified when the registration opens. 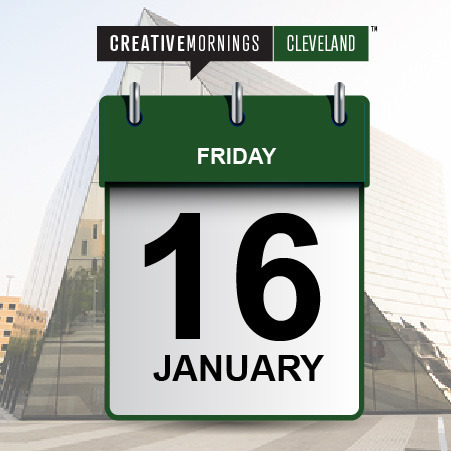 This week things got moving for Creative Mornings in Cleveland, we’re getting very close to announcing some details of the first event in January. The question is: Who is going to share some stories? 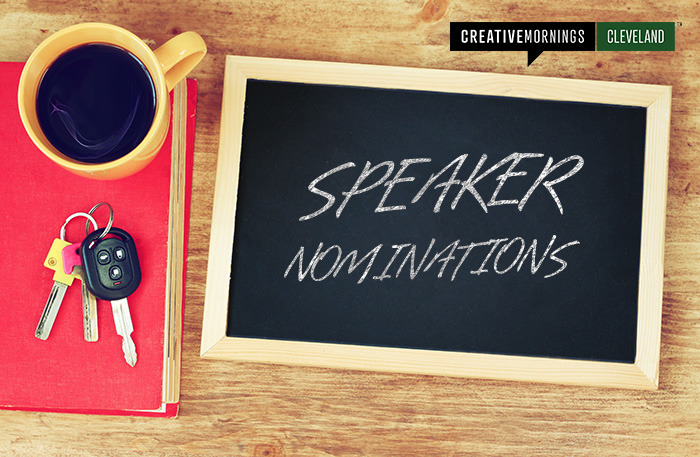 We’d like to open it up for you to nominate speakers for upcoming events. What makes a great Creative Mornings speaker. Speakers on Creative Mornings have a story to tell. They are amazingly creative people that are inspiring and generous with helping others learn. Creative is a broad term. Anyone can be creative, not just people that call themselves artists. People in the world that love to make new things are creative, that’s all we’re looking for. 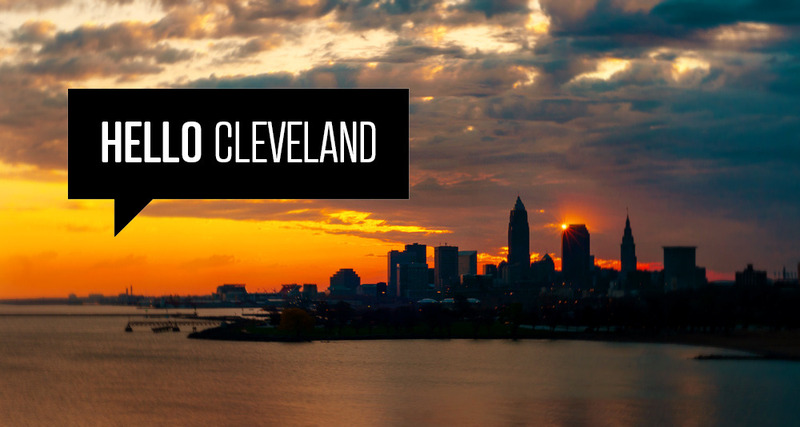 For Creative Mornings Cleveland, we’d like to feature speakers that are “Cleveland Connected” - This includes people who live here, used to live here, have done work here, or will do work here. In other words, almost anyone. Speakers do not need to be well known or any degree of celebrity but we do want to keep the platform educational, and non-promotional. Submit your co-worker, neighbor, or someone you follow online that is doing really amazing things - we’d love to share their story through Creative Mornings. Thank you for your nominations, please also share this message in facebook and twitter. Perhaps someone you know will see your post and connect with us to make something great happen, the conversation doesn’t happen with you! Creative Mornings Cleveland will join the global community of designers, dreamers, and croissant eaters in early 2015. We would love for you to be a part! Sign up for our newsletter to get notifications on upcoming speakers and venues.